Galerie Alfred Waud pays homage to my favorite Civil War artist. Alfred Waud's work stands out for a simplicity and freshness that allows the description of the war to be accurately described with the fewest strokes. 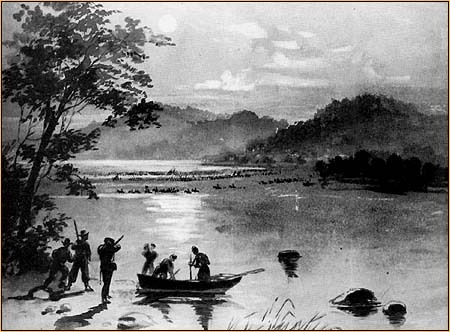 His ink washes are especially remarkable in this aspect as witness by the one below showing Yankee scouts ovbserving the Amry of Northern Virginia fording the Potomac on the moonlit night. 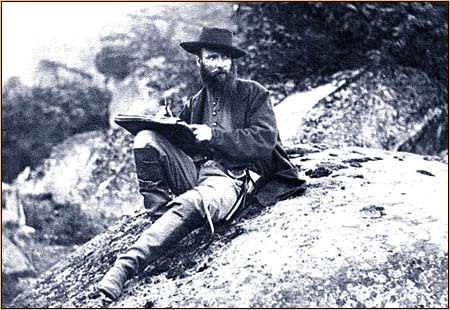 Galerie Alfred Waud will be a resource for exhibitions of American Civil War art past and present, created and photographic. Check here for visual interpretations that will be developed with Project Plug Ugly.